It has been suggested that this article be merged into Online community. (Discuss) Proposed since July 2018. A virtual community is a social network of individuals who interact through specific social media, potentially crossing geographical and political boundaries in order to pursue mutual interests or goals. Some of the most pervasive virtual communities are online communities operating under social networking services. Howard Rheingold discussed virtual communities in his book, The Virtual Community, published in 1993. The book's discussion ranges from Rheingold's adventures on The WELL, computer-mediated communication and social groups and information science. Technologies cited include Usenet, MUDs (Multi-User Dungeon) and their derivatives MUSHes and MOOs, Internet Relay Chat (IRC), chat rooms and electronic mailing lists. Rheingold also points out the potential benefits for personal psychological well-being, as well as for society at large, of belonging to a virtual community. Virtual communities all encourage interaction, sometimes focusing around a particular interest or just to communicate. Some virtual communities do both. Community members are allowed to interact over a shared passion through various means: message boards, chat rooms, social networking World Wide Web sites, or virtual worlds. The traditional definition of a community is of geographically circumscribed entity (neighborhoods, villages, etc.). Virtual communities are usually dispersed geographically, and therefore are not communities under the original definition. Some online communities are linked geographically, and are known as community websites. However, if one considers communities to simply possess boundaries of some sort between their members and non-members, then a virtual community is certainly a community. Virtual communities resemble real life communities in the sense that they both provide support, information, friendship and acceptance between strangers. Early research into the existence of media-based communities was concerned with the nature of reality, whether communities actually could exist through the media, which could place virtual community research into the social sciences definition of ontology. In the seventeenth century, scholars associated with the Royal Society of London formed a community through the exchange of letters. "Community without propinquity", coined by urban planner Melvin Webber in 1963 and "community liberated", analyzed by Barry Wellman in 1979 began the modern era of thinking about non-local community. As well, Benedict Anderson's Imagined Communities in 1983, described how different technologies, such as national newspapers, contributed to the development of national and regional consciousness among early nation-states. Some authors that built their theories on Anderson's Imagined communities have been critical of the concept, claiming that all communities are based on communication and that virtual/real dichotomy is disintegrating, making use of the word "virtual" problematic or even obsolete. Virtual communities are used for a variety of social and professional groups; interaction between community members vary from personal to purely formal. For example, an email distribution list operates on an informational level. The explosive diffusion of the Internet since the mid-1990s fostered the proliferation of virtual communities in the form of social networking services and online communities. Virtual communities may synthesize Web 2.0 technologies with the community, and therefore have been described as Community 2.0, although strong community bonds have been forged online since the early 1970s on timeshare systems like PLATO and later on Usenet. Online communities depend upon social interaction and exchange between users online. This interaction emphasizes the reciprocity element of the unwritten social contract between community members. Concerns with a virtual community's tendency to promote less socializing include: verbal aggression and inhibitions, promotion of suicide and issues with privacy. However, studies regarding the health effects of these communities did not show any negative effects. There was a high drop-out rate of participants in the study. The health-related effects are not clear because of the lack of thoroughness and the variation in studies done on the subject. Rather, recent studies have looked into development of health related communities and their impact on those already suffering health issues. These forms of social networks allow for open conversation between individuals who are going through similar experiences, whether themselves or in their family. Such sites have in fact grown in popularity, so much so that now many health care providers are forming groups for their patients, even providing areas where questions may be directed to doctors. These sites prove especially useful when related to rare medical conditions. People with rare or debilitating disorders may not be able to access support groups in their physical community, thus online communities act as primary means for such support. It[clarification needed] can serve as an outlet of support by connecting with others who truly understand the disease, as well as more practical support, such as receiving help adjusting to life with the disease. Involvement in social communities of similar health interests has created a means for patients to develop a better understanding and behavior towards treatment and health practices. Patients increasingly use such outlets, but the extent to which these practices have effects on health are still being studied. Studies on health networks have mostly been conducted on groups which typically suffer the most from extreme forms of diseases, for example cancer patients, HIV patients, or patients with other life-threatening diseases. It is general knowledge that one participates in online communities to interact with society and develop relationships. Individuals who suffer from rare or severe illnesses are unable to meet physically because of distance or because it could be a risk to their health to leave a secure environment. Thus, they have turned to the internet. A study conducted by Haven B. Battles and Lori S. Wiener on the effects of networks on children suffering from incurable diseases reveal a positive correlation in enhancing children's behaviors and overall moods. Their behavior and mood not only changed, but they were more willing to go to treatment after having these interactions. In addition to communities which focus strictly on information relating to illness and disease, there are also those which focus on specific health-related conditions such as fertility issues. Some studies have indicated that virtual communities can provide valuable benefits to their users. Online communities focused in health were shown to offer a unique form of emotional support that differed from event-based realities and informational support networks. There is a growing amount of material being presented about how online communities affect the health of their users. It appears that the creation of communities have a positive impact on those who are ill or in need of medical information. New forms of civic engagement and citizenship have emerged from the rise of social networking sites. Networking sites act as a medium for expression and discourse about issues in specific user communities. Online content-sharing sites have made it easy for youth as well as others to not only express themselves and their ideas through digital media, but also connect with large networked communities. Within these spaces, young people are pushing the boundaries of traditional forms of engagement such as voting and joining political organizations and creating their own ways to discuss, connect, and act in their communities. Civic engagement through online volunteering has shown to have a positive effects on personal satisfaction and development. Some 84 percent of online volunteers found that their online volunteering experience had contributed to their personal development and learning. Yochai Benkler, in his book The Wealth of Networks from 2006, suggests that virtual communities would 'come to represent a new form of human communal existence, providing new scope for building a shared experience of human interaction'. Although Benkler's prediction was not entirely correct, it is clear that communications and social relations are extremely complex within a virtual community. The two main effects that can be seen according to Benkler are a 'thickening of preexisting relations with friends, family and neighbours' and the beginnings of the 'emergence of greater scope for limited-purpose, loose relationships'. Despite being acknowledged as 'loose' relationships, Benkler argues that they remain meaningful. Previous concerns about the effects of Internet use on community and family fell into two categories: sustained, intimate human relations 'are critical to well-functioning human beings as a matter of psychological need' and that people with 'social capital' are better off than those who lack it and it leads to better results in terms of political participation. However, Benkler argues that unless Internet connections actually displace direct, unmediated, human contact, there is no basis to think that using the Internet will lead to a decline in those nourishing connections we need psychologically, or in the useful connections we make socially. Benkler continues to suggest that the nature of an individual changes over time, based on social practices and expectations. There is a shift from individuals who depend on social relations that are locally embedded, unmediated and stable relationships to networked individuals who are more dependent on their own combination of strong and weak ties across boundaries and weave their own fluid relationships. Manuel Castells calls this the 'networked society'. An online message board is a forum where people can discuss thoughts or ideas on various topics or simply express an idea. Users may choose which thread, or board of discussion, they would like to read or contribute to. A user will start a discussion by making a post. Other users who choose to respond can follow the discussion by adding their own posts to that thread at any time. Unlike in spoken conversations, message boards do not usually have instantaneous responses; users actively go to the website to check for responses. Anyone can register to participate in an online message board. People can choose to participate in the virtual community, even if or when they choose not to contribute their thoughts and ideas. 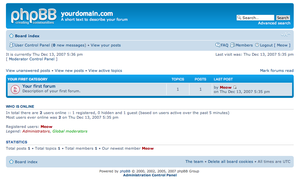 Unlike chat rooms, at least in practice, message boards can accommodate an almost infinite number of users. Internet users' urges to talk to and reach out to strangers online is unlike those in real-life encounters where people are hesitant and often unwilling to step in to help strangers. Studies have shown that people are more likely to intervene when they are the only one in a situation. With Internet message boards, users at their computers are alone, which might contribute to their willingness to reach out. Another possible explanation is that people can withdraw from a situation much more easily online than off. They can simply click exit or log off, whereas they would have to find a physical exit and deal with the repercussions of trying to leave a situation in real life. The lack of status that is presented with an online identity also might encourage people, because, if one chooses to keep it private, there is no associated label of gender, age, ethnicity or lifestyle. Shortly after the rise of interest in message boards and forums, people started to want a way of communicating with their "communities" in real time. The downside to message boards was that people would have to wait until another user replied to their posting, which, with people all around the world in different time frames, could take a while. The development of online chat rooms allowed people to talk to whoever was online at the same time they were. This way, messages were sent and online users could immediately respond. The original development by CompuServe CB hosted forty channels in which users could talk to one another in real time. The idea of forty different channels led to the idea of chat rooms that were specific to different topics. Users could choose to join an already existent chat room they found interesting, or start a new "room" if they found nothing to their liking. Real-time chatting was also brought into virtual games, where people could play against one another and also talk to one another through text. Now, chat rooms can be found on all sorts of topics, so that people can talk with others who share similar interests. Chat rooms are now provided by Internet Relay Chat (IRC) and other individual websites such as Yahoo, MSN, and AOL. Chat room users communicate through text-based messaging. Most chat room providers are similar and include an input box, a message window, and a participant list. The input box is where users can type their text-based message to be sent to the providing server. The server will then transmit the message to the computers of anyone in the chat room so that it can be displayed in the message window. The message window allows the conversation to be tracked and usually places a time stamp once the message is posted. There is usually a list of the users who are currently in the room, so that people can see who is in their virtual community. Users can communicate as if they are speaking to one another in real life. This "like reality" attribute makes it easy for users to form a virtual community, because chat rooms allow users to get to know one another as if they were meeting in real life. The individual "room" feature also makes it more likely that the people within a chat room share a similar interest; an interest that allows them to bond with one another and be willing to form a friendship. Virtual worlds are the most interactive of all virtual community forms. In this type of virtual community, people are connected by living as an avatar in a computer-based world. Users create their own avatar character (from choosing the avatar's outfits to designing the avatar's house) and control their character's life and interactions with other characters in the 3-D virtual world. It is similar to a computer game, however there is no objective for the players. A virtual world simply gives users the opportunity to build and operate a fantasy life in the virtual realm. Characters within the world can talk to one another and have almost the same interactions people would have in reality. For example, characters can socialize with one another and hold intimate relationships online. This type of virtual community allows for people to not only hold conversations with others in real time, but also to engage and interact with others. The avatars that users create are like humans. Users can choose to make avatars like themselves, or take on an entirely different personality than them. When characters interact with other characters, they can get to know one another not only through text based talking, but also by virtual experience(such as having avatars go on a date in the virtual world). A chat room form of a virtual community may give real time conversations, but people can only talk to one another. In a virtual world, characters can do activities together, just like friends could do in reality. Communities in virtual worlds are most similar to real life communities because the characters are physically in the same place, even if the users who are operating the characters are not. It is close to reality, except that the characters are digital. Second Life is one of the most popular virtual worlds on the Internet. Whyville offers a good alternative for younger audiences where safety and privacy are a concern. In Whyville you use the simulation aspect of the virtual world to experiment and learn about various phenomenon. Another use for virtual worlds has been in business communications. Benefits from virtual world technology such as photo realistic avatars and positional sound create an atmosphere for participants that provides a less fatiguing sense of presence. Enterprise controls that allow the meeting host to dictate the permissions of the attendees such as who can speak, or who can move about allow the host to control the meeting environment. Several companies are creating business based virtual worlds including Second Life. These business based worlds have stricter controls and allow functionality such as muting individual participants, desktop sharing, or access lists to provide a highly interactive and controlled virtual world to a specific business or group. Business based virtual worlds also may provide various enterprise features such as Single Sign on with third party providers, or Content Encryption. Social networking services are the most prominent type of virtual community. They are either a website or software platform that focuses on creating and maintaining relationships. Facebook, Twitter, and Myspace are all virtual communities. With these sites, one often creates a profile or account, and adds friends or follow friends. This allows people to connect and look for support using the social networking service as a gathering place. These websites often allow for people to keep up to date with their friends and acquaintances' activities without making much of an effort. On Facebook, for example, one can upload photos and videos, chat, make friends, reconnect with old ones, and join groups or causes. All of these functions encourage people to form a community, large or small, on the Internet. Participatory culture plays a large role in online and virtual communities. In participatory culture, users feel that their contributions are important and that by contributing, they are forming meaningful connections with other users. The differences between being a producer of content on the website and being a consumer on the website become blurred and overlap. According to Henry Jenkins, "Members believe their contributions matter and feel some degree of social connection with one another "(Jenkins, et al. 2005). The exchange and consumption of information requires a degree of "digital literacy," such that users are able to "archive, annotate, appropriate, transform and recirculate media content" (Jenkins). Specialized information communities centralizes a specific group of users who are all interested in the same topic. For example, TasteofHome.com, the website of the magazine Taste of Home, is a specialized information community that focuses on baking and cooking. The users contribute consumer information relating to their hobby and additionally participate in further specialized groups and forums. Specialized Information Communities are a place where people with similar interests can discuss and share their experiences and interests. Howard Rheingold's Virtual Community could be compared with Mark Granovetter's ground-breaking "strength of weak ties" article published twenty years earlier in the American Journal of Sociology. Rheingold translated, practiced and published Granovetter's conjectures about strong and weak ties in the online world. His comment on the first page even illustrates the social networks in the virtual society: "My seven year old daughter knows that her father congregates with a family of invisible friends who seem to gather in his computer. Sometimes he talks to them, even if nobody else can see them. And she knows that these invisible friends sometimes show up in the flesh, materializing from the next block or the other side of the world." (page 1). Indeed, in his revised version of Virtual Community, Rheingold goes so far to say that had he read Barry Wellman's work earlier, he would have called his book "online social networks". Rheingold's definition contains the terms "social aggregation and personal relationships" (pp3). Lipnack & Stamps (1997) and Mowshowitz (1997) point out how virtual communities can work across space, time and organizational boundaries; Lipnack & Stamps (1997) mention a common purpose; and Lee, Eom, Jung and Kim (2004) introduce "desocialization" which means that there is less frequent interaction with humans in traditional settings, e.g. an increase in virtual socialization. Calhoun (1991) presents a dystopia argument, asserting the impersonality of virtual networks. He argues that IT has a negative influence on offline interaction between individuals because virtual life takes over our lives. He believes that it also creates different personalities in people which can cause frictions in offline and online communities and groups and in personal contacts. (Wellman & Haythornthwaite, 2002). Recently, Mitch Parsell (2008) has suggested that virtual communities, particularly those that leverage Web 2.0 resources, can be pernicious by leading to attitude polarization, increased prejudices and enabling sick individuals to deliberately indulge in their diseases. Internet communities offer the advantage of instant information exchange that is not possible in a real-life community. This interaction allows people to engage in many activities from their home, such as: shopping, paying bills, and searching for specific information. Users of online communities also have access to thousands of specific discussion groups where they can form specialized relationships and access information in such categories as: politics, technical assistance, social activities, health (see above) and recreational pleasures. Virtual communities provide an ideal medium for these types of relationships because information can easily be posted and response times can be very fast. Another benefit is that these types of communities can give users a feeling of membership and belonging. Users can give and receive support, and it is simple and cheap to use. Economically, virtual communities can be commercially successful, making money through membership fees, subscriptions, usage fees, and advertising commission. Consumers generally feel very comfortable making transactions online provided that the seller has a good reputation throughout the community. Virtual communities also provide the advantage of disintermediation in commercial transactions, which eliminates vendors and connects buyers directly to suppliers. Disintermediation eliminates pricey mark-ups and allows for a more direct line of contact between the consumer and the manufacturer. While instant communication means fast access, it also means that information is posted without being reviewed for correctness. It is difficult to choose reliable sources because there is no editor who reviews each post and makes sure it is up to a certain degree of quality. In theory, online identities can be kept anonymous which enables people to use the virtual community for fantasy role playing as in the case of Second Life's use of avatars. Some professionals urge caution with users who use online communities because predators also frequent these communities looking for victims who are vulnerable to online identity theft or online predators. ^ a b Pears, Iain. 1998. An Instance of the Fingerpost. London: Jonathan Cape. ^ Webber, Melvin. 1963. "Order in Diversity: Community without Propinquity." Pp. 23–54 in Cities and Space: The Future Use of Urban Land, edited by J. Lowdon Wingo. Baltimore: Johns Hopkins Press. Wellman, Barry. "The Community Question: The Intimate Networks of East Yorkers." American Journal of Sociology 84 (March 1979): 1201–31. ^ Anderson, Benedict. 1991. Imagined Communities: Reflections on the Origin and Spread of Nationalism. London: Verso. ^ Prodnik, Jernej (2012). Post-Fordist Communities and Cyberspace. In H. Breslow and A. Mousoutzanis (eds. ), Cybercultures: Mediations of Community, Culture, Politics. Rodopi: Amsterdam, New York. pp. 75–100. ^ Eysenbach, G (2004). "Health related virtual communities and electronic support groups: systematic review of the effects of online peer to peer interactions". BMJ. 328 (7449): 1166. doi:10.1136/bmj.328.7449.1166. PMC 411092. PMID 15142921. ^ Eysenbach, G (2008). "The Impact of the Internet on Cancer Outcomes. A Cancer Journal for Clinicians, 53(6), 356–371". Ca: A Cancer Journal for Clinicians. 53 (6): 356–371. CiteSeerX 10.1.1.526.4309. doi:10.3322/canjclin.53.6.356. ^ "Web Communities Help Patients With Rare Diseases". NPR. Retrieved 10 July 2012. ^ Neal, L.; Lindgagarrd, G.; Oakley, K.; Hansen, D.; Kogan, S.; Leimeister, J.M. ; Selker, T. (2006). "Online Health Communities. CHI, 444–447" (PDF). ^ Cocciolo, A.; Mineo, C.; Meier, E. "Using Online Social Networks to Build Healthy Communities: A Design-based Research Investigation. 1–10" (PDF). ^ Battles, B.; Wiener, L. (2002). "STARBRIGHT World: Effects of an Electronic Network on the Social Environment of Children With Life-Threatening Illnesses. Children's Health Care, 31(1), 47–68". Children's Health Care. 31: 47–68. doi:10.1207/S15326888CHC3101_4. ^ Welbourne, Jennifer L.; Blanchard, Anita L.; Boughton, Marla D. (2009). "Supportive communication, sense of virtual community and health outcomes in online infertility groups". Proceedings of the Fourth International Conference on Communities and Technologies. C&T '09. New York: ACM. pp. 31–40. CiteSeerX 10.1.1.589.9656. doi:10.1145/1556460.1556466. ISBN 9781605587134. ^ Carvin, A. (1 December 2006). "Understanding the impact of online communities on civic engagement". ^ a b c d Benkler, Yochai (2006). The Wealth of Networks: How Social Production Transforms Markets and Freedom (PDF). ^ Wellman, B. (1999). Networks in the global village: life in contemporary communities. ISBN 9780813368214. ^ Phelps, Alan (11 July 2010). "How Chat Rooms Work" (PDF). Smartcomputing.com. ^ Roos, Dave (11 July 2010). "HowStuffWorks: How Chat Rooms Work". Retrieved 23 August 2010. ^ Turkle, Sherry (11 July 2010). "Virtuality and Its Discontents". The American Prospect. Archived from the original on 26 July 2010. ^ Quan-Hasse, A.; Young, A. L. (2010). Uses and Gratifications of Social Media: A Comparison of Facebook and Instant Messaging. Bulletin of Science, Technology & Society 30, 350–361. ^ Waisanen, D. (2010). Facebook, Diasporic-Virtual Publics, and Networked Argumentation. Conference Proceedings – National Communication Association/American Forensic Association (Alta Conference on Argumentation), 550–557. ^ a b Jessica., Lipnack (1997). Virtual teams : reaching across space, time, and organizations with technology. Stamps, Jeffrey. New York: Wiley. ISBN 978-0471165538. OCLC 36138326. ^ Parsell, M. (2008) (2008). "Pernicious virtual communities: Identity, polarisation and the Web 2.0". Ethics and Information Technology. 10: Volume 10, Number 1: 41–56. doi:10.1007/s10676-008-9153-y. ^ Blanchard, A.L. ; Markus, M.L. (2002). "Sense of virtual community—maintaining the experience of belonging . Proceedings of the 35th Hawaii International Conference on System Sciences". CiteSeerX 10.1.1.11.9800. ^ Rothaermel, F.T. ; Sugiyama, S. (2001). "Virtual internet communities and commercial success: individual and community-level theory grounded in the atypical case of timezone.com". Journal of Management. 27 (3): 297–312. doi:10.1177/014920630102700305. ^ Smith, M.A. ; Kollock, P. (1999). Communities in cyberspace. New York, New York: Routledge. ^ Foster, D. (18 December 2000). "Community and identity in the electronic village". Archived from the original on 17 January 2011. Retrieved 15 October 2010. Gouvêa, Mario de Paula Leite (18–21 July 2000). "The Challenges of Building an International Virtual Community Using Internet Technologies". Internet Society INET 2000 conference proceedings. Jones, G. Ravid; Rafaeli, S. (2004). "Information Overload and the Message Dynamics of Online Interaction Spaces: A Theoretical Model and Empirical Exploration". Information Systems Research. 15 (2): 194–210. CiteSeerX 10.1.1.127.6976. doi:10.1287/isre.1040.0023. Kim, A. J. (2004) (24 January 2004). "Emergent Purpose. Musings of a Social Architect". Retrieved 4 April 2006. The author has made available an "Online working draft". Kosorukoff, A. & Goldberg, D. E. (2002) Genetic algorithm as a form of organization, Proceedings of Genetic and Evolutionary Computation Conference, GECCO-2002, pp 965–972. Morningstar, C. and F. R. Farmer (1990). "The Lessons of Lucasfilm's Habitat, The First International Conference on Cyberspace, Austin, TX, USA". Neus, A. (2001). "Managing Information Quality in Virtual Communities of Practice; Lessons learned from a decade's experience with exploding internet communication" (PDF). IQ 2001: The 6th International Conference on Information Quality at MIT. Archived from the original (PDF) on 16 August 2010. Retrieved 23 August 2010. Parsell, Mitch (2008). "Pernicious virtual communities: Identity, polarisation and the Web 2.0". Ethics and Information Technology. 10: 41–56. doi:10.1007/s10676-008-9153-y. Prodnik, Jernej (2012). "Post-Fordist Communities and Cyberspace, A Critical Approach". In H. Breslow and A. Mousoutzanis (eds. ), Cybercultures: Mediations of Community, Culture, Politics. Rodopi: Amsterdam, New York. pp. 75–100. Retrieved 2 February 2013. Van der Crabben, Jan. "Performed Intimacy in Virtual Worlds". Archived from the original on 31 May 2009. Trier, M. (2007) Virtual Knowledge Communities – IT-supported Visualization and Analysis. Saarbrücken, Germany: VDM Verlag Dr. Müller. (ISBN 3-8364-1540-2).